Aires continues its prolific release schedule with a number of recent releases in 1/72 scales. Casting quality of all four sets is perfect. Each set is simple and self explanatory. A beautifully detailed two-seater cockpit with photo-etched details and printed acetate instruments. 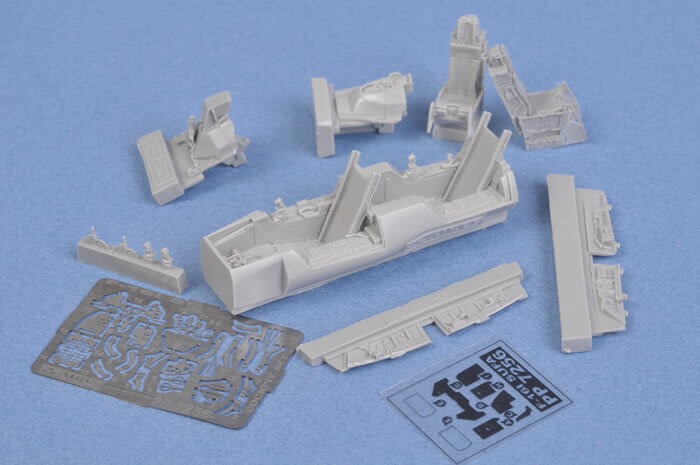 This will be a great enhancement to Hasegawa's new 1/72 scale kit. This first option offers radial tread tyres and the allow spoked wheel. This second option has covered hubs. 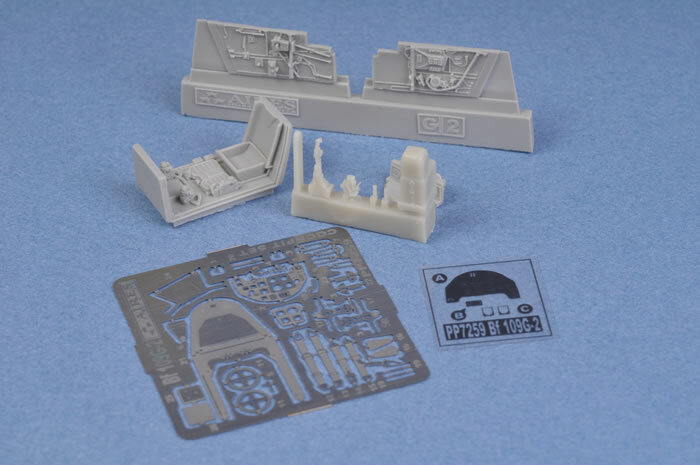 Fine Molds' Bf 109 Fs, Gs and Ks are the best 1/72 scale kits of their type, and Aires' cockpit will be a worthwhile upgrade. The main parts are presented in resin, with the instrument panel, harness straps and other details on a photo-etched fret. 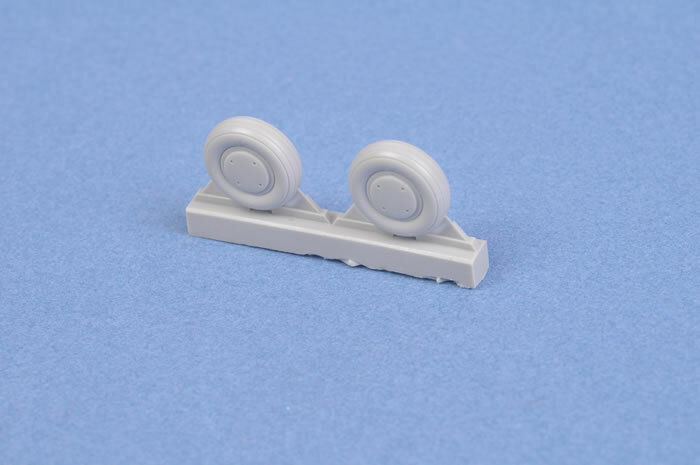 The dials for the instrument panel are printed on a clear acetate sheet. 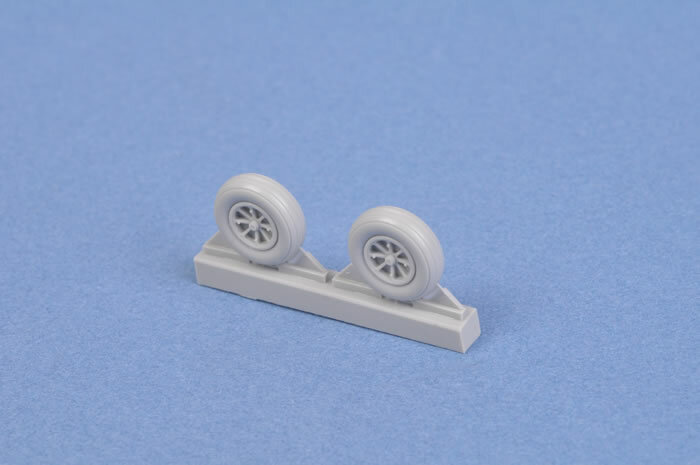 This set will also be suitable for the Fine Molds Bf 109 G-4, G-6 and G-14 kits. Just gorgeous.